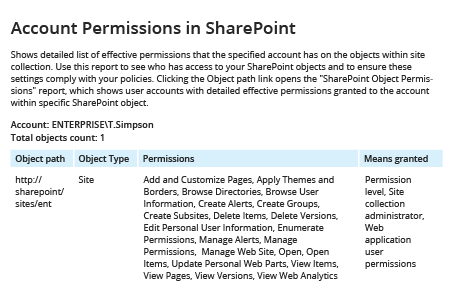 Open your SharePoint site settings → Click “Site Permissions”. Click “Check Permissions” → Enter the username of the user whose permissions you want to check -> Click “Check Now”. Run Netwrix Auditor → Navigate to “Reports” → Expand the “SharePoint” section → Go to “SharePoint – State-in-Time” → Select “Account Permissions in SharePoint” → Click “View”. By default, you’ll see Full Control permissions to all objects within the specified site collection. However, you can use filters to limit the report to specific permissions types and any securable object, such as list, library or particular item, within the site collection. To export the report to CSV or another format, click the “Export” button → Choose a format from the dropdown menu → Click "Save". Auditing SharePoint permissions is critical for protecting content on your SharePoint web sites. Hacked or accidentally given permissions enables users to add, view, copy, edit or delete information they should not have access to. Therefore, regular auditing of user permissions, including unique permissions, is crucial to minimizing the risk of document leaks and compliance violations. You can check the current permissions for your SharePoint site collections by using SharePoint site settings, but the output is not user friendly and cannot be easily filtered or exported. 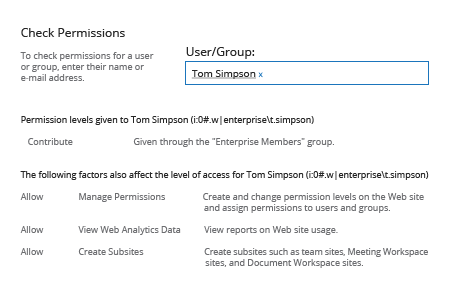 There is a better way to check permissions on a SharePoint site. Netwrix Auditor for SharePoint reports on the state of SharePoint permissions; lists objects with broken inheritance; and audits changes to permissions, permission levels, permission inheritance, group membership and security policies. 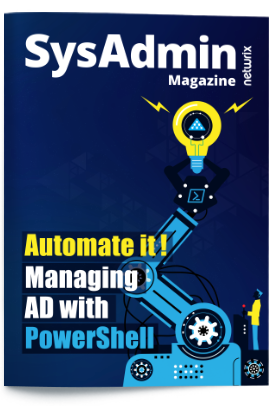 It provides all the details that IT administrators need, including who made each change, when and where it was made, which SharePoint group or user was affected, and the before and after values. Netwrix Auditor for SharePoint also provides complete visibility into changes to the configuration of your SharePoint farm, as well as attempts to change or read data on your Microsoft SharePoint server. You can have any report delivered automatically by email to facilitate regular review and ensure that access rights are assigned correctly, including limited access. In addition, you can use predefined and custom alerts to be notified right away about critical changes or suspicious access attempts.